Died: 19th September 1918; age 33; KiA – Palestine. Date of Entry Therein: 16th February 1918 – Egypt. Employed: as Secretary to Mr. Pollard Wilkinson, Headmaster of the Ipswich Municipal Secondary School for Boys. 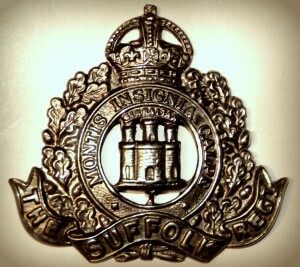 Regiment: Suffolk Regiment, 3rd Battalion attached 1st/5th Battalion. Relatives Notified & Address: Son of Mrs Emma Eliza Clarke, of 25, Broom Hill Road, Ipswich. 1891 16, Palmerston Road, Ipswich. Percy was 6 years old and living with his parents & brothers. Thomas Lancey Clarke, 47, a Grocery Manager, born Harwich, Essex. Emma Eliza Clarke (nee Runickles), 34, born Stowmarket, Suffolk. George William Clarke, 9, born Ipswich. David Henry Clarke, 3, born Ipswich. John Cyril Clarke, 7 months, born Ipswich. 1901 61, Cemetery Road, Ipswich. Percy was 16 years old he was living with his parents & brothers. Thomas, 57, a Manager of Co-Operative Society. 1911 61, Cemetery Road, Ipswich. Percy was 26 years old, a Registrar of Secondary & Technical Schools – Municipal Borough Council. He was living with his parents & brother. Thomas, 67, a Grocers’ Manager. John, 20, a Tobacco Manufacturers Clerk. 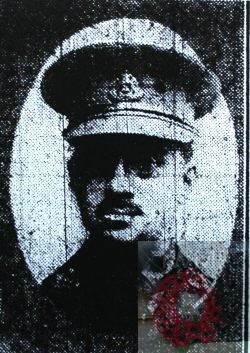 Percy is also remembered on the war memorial under Education at the Town Hall, Ipswich, St. Matthews church Memorial. 1 Pings/Trackbacks for "PERCY THOMAS CLARKE"